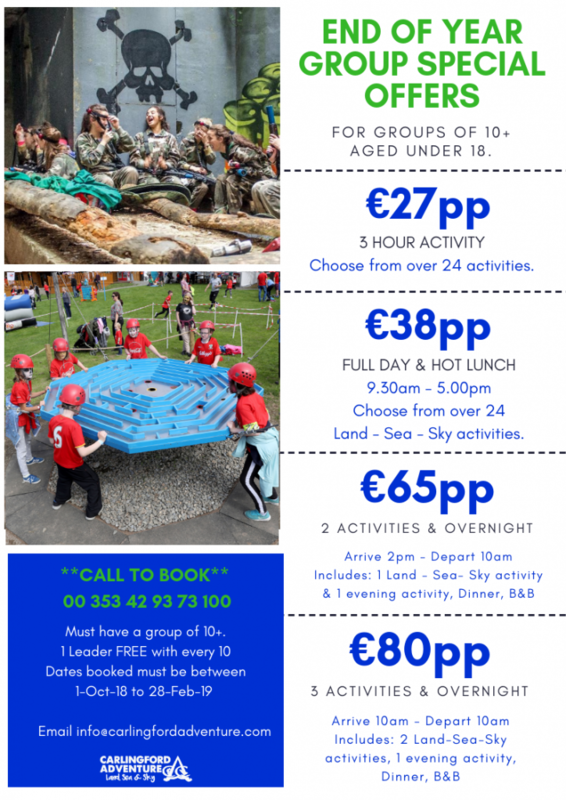 Carlingford Adventure Centre offer amazing programmes with enthusiastic leaders that will inspire young people to test themselves and push their boundaries. 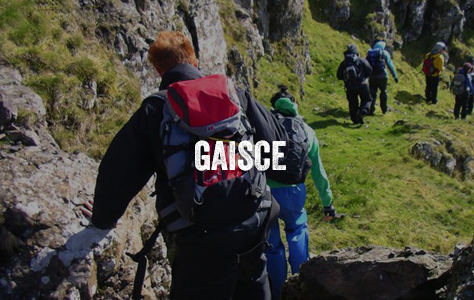 Youth Group programmes are designed around improving teamwork, building confidence and having FUN. 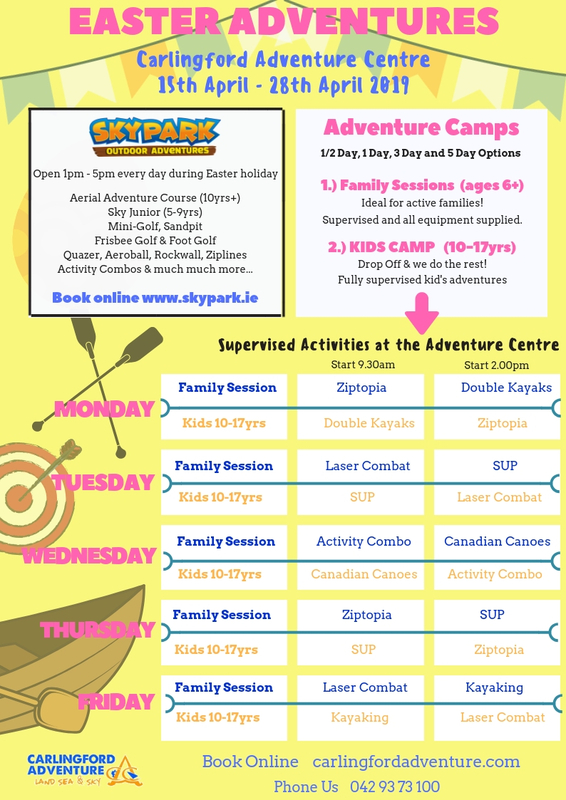 We pride ourselves on offering the largest choice of LAND, SEA and SKY activities in Ireland all delivered by our team of experienced, qualified & fun-loving instructors. Our facilities are top class and in-house chefs prepare fresh homemade meals daily and can cater for any food requirements. 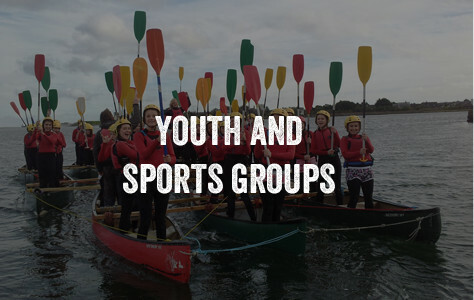 We have special offers for Youth Groups during Winter 2018/19. 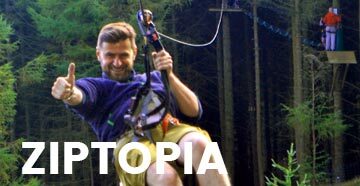 Check out our offers for full days and overnights until February 2019. 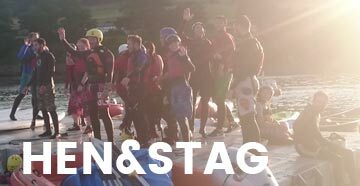 We can accommodate over 200 in our Carlingford Hub and residential packages include an entertaining evening programme and late night movie option, with 24hr supervision so leaders can relax after a busy day. 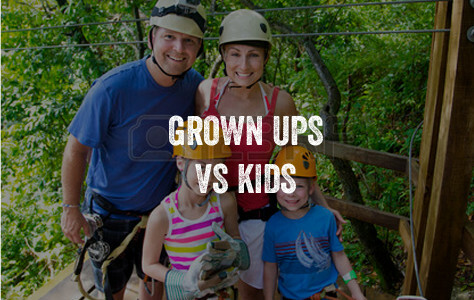 Everything is included – activities, accommodation, equipment and food, there are no hidden costs. Our team will do all they can to help you organise a brilliant, never to be forgotten experience. 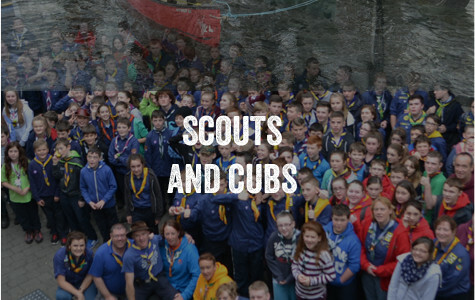 Join the thousands of Youth Groups that have already had the Carlingford Adventure Experience, bring your team/club/group and watch them develop and grow in front of your eyes! All whilst having fun and learning new skills.